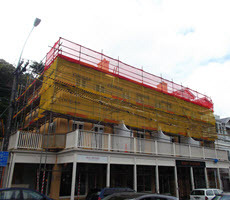 Wellington to Waikanae to Wairarapa: Scaffolding Solutions - you can depend on! 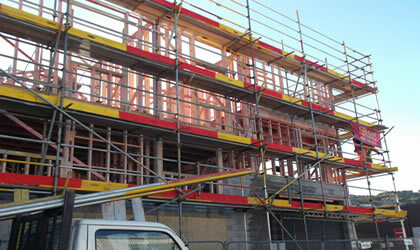 We have been in business for over 18 years with teams of qualified and experienced scaffolders committed to safe scaffolding practice. "Cougar Scaffolding were fantastic on my project earlier this month providing good access for my job and the reassurance of being able to safely work at height. 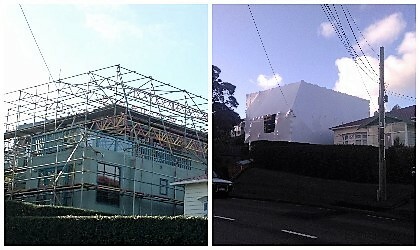 There will be no hesitation to which scaffolding firm I will be choosing for my next project. Thanks for all your help." Over the years we have completed a wide variety of scaffolding projects from commercial to residential; shrink-wrap to bridges.